At GE Appliances, we make life better by designing and building the world's best appliances. From design to production to service, our goal is to help people improve their lives at home. “At Intuit, we often say we’re customer obsessed. To achieve this, our customer success team is critical. With the seamless integration between Amazon Connect and Salesforce, we’re unleashing the power of technology to customize the agent experience through data. We’re improving agent productivity and allowing the agents to focus on customers, not their tools, to provide the best possible customer experience." 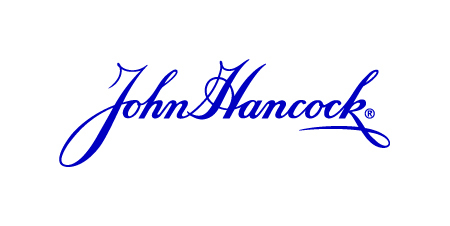 John Hancock helps people make their decisions easier and lives better. We provide financial advice, insurance and wealth and asset management solutions for individuals, groups and institutions. One of the largest life insurers in the United States, John Hancock supports approximately 10 million Americans with a broad range of financial products, including life insurance, annuities, investments, 401(k) plans, and college savings plans. Mutual of Omaha is a solid, family-oriented company that’s reliable, trustworthy, knowledgeable and caring. We are a full-service, multi-line provider of insurance and financial services products for individuals, businesses and groups throughout the United States. The SUBWAY® brand is the world's largest submarine sandwich chain with more than 40,000 locations around the world. They have become the leading choice for people seeking quick, nutritious meal options that the whole family can enjoy. CHRONEXT is the first destination for luxury watches. They combine many years of experience with guaranteed security. At CHRONEXT, you can buy watches, sell watches, and service watches in their in-house certified watchmaking atelier. "We are on a mission to establish CHRONEXT as the first destination for luxury watches and therefore customer satisfaction is our greatest asset. Amazon Connect enables our Personal Watch Consultants to create an authentic, personal and trustful experience, that customers for luxury watches expect from us. With Amazon Connect we can scale great customer experience as it is easy to add coverage for different countries or create skill based queues and achieve fast response times. Overall we were really impressed how fast Amazon Connect could be deployed and integrated into our existing CRM, Zendesk. Accompanied by tecRacer, we went from scratch to full production within just six days, covering three different countries. Today a call is accepted in less than 30 seconds on average, which creates an outstanding customer experience." South Western Railway is an English train operating company. They work closely with their customers and the communities they serve to build strong relationships. "Due to the decommissioning of a legacy phone system, we had a tight timescale for launching a replacement. With the support of AWS, we successfully recreated the legacy system inside Amazon Connect. We went from our first meeting to the migration of our first number in just over a week. The IVR editor is brilliant, it’s easy to setup and reliable. This has given us the confidence to experiment with various options including trying different IVR trees and updating the IVR message. Using Amazon Polly Text to Speech, we have the freedom to edit the messaging anytime from anywhere. We have used this ability to add bespoke messaging when there is a major incident affecting our network." ChartSpan is the largest managed service provider of chronic care management programs in the Unites States. ChartSpan provides turn-key, managed care coordination and compliance programs for doctors, clinics, and health systems. ChartSpan manages patient care coordination programs for more than 100 of the most successful practices and health systems in the United States. 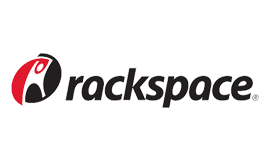 Direct Interactions is unlike any outsourced call center solutions provider in the United States. They redefine the customer service experience one call at a time with their award-winning, white glove customer service that builds trust, improves retention rates, and strengthens brands. axialHealthcare is a pain and opioid care solutions company that partners with health insurers and states to optimize pain care outcomes, reduce opioid misuse, and materially improve financial performance. Presiding over a structured database of over 100 million lives, axialHealthcare identifies what’s happening within a pain population and directs implementation of a custom solution based on specific needs. Insomnia Cookies delivers warm, delicious cookies, daily until 3am. A favorite among college students and professionals alike, Insomnia Cookies strives to ensure we are delivering our signature warm experience every time. RedAwning is the world’s largest branded network of vacation rental properties offering 24/7 guest and property manager support services. With over 100,000 unique rental properties in over 10,000 destinations, RedAwning is the leading supplier of vacation rentals to every major online booking website. AnswerConnect is a 24x7 live call answering service.
" As a fully remote company, we needed a cloud-based soft phone that could easily scale up or down, keep our remote workers connected, and give us the 24/7 availability our clients know us for. Amazon Connect has provided that and more. We have real-time, historical visibility, and reporting. Amazon Connect easily integrates with our existing systems, and the usage-based pricing accommodates our need for seasonal scalability without financial impact. These factors made our decision to move to Amazon Connect an easy one. It was the best choice for both us and our customers."